We do Transfer and Taxi service in Belarus for bisiness trips and private tours with fixed price. We are doing it not occasionally few time a month, for example, but professionally day after day. If you come to Belarus with business trip and need to get to any point of our country to visit your partners or to make some business solutions we can provide transfer for you from Minsk Airport or from Minsk city. Our driver will meet you with a plate with your name or name of your company and drive you to your point of destination in door-to-door mode. For any trip we can give you receipt for your company. Fill the ordering form to Book a Licensed Taxi from Airport Minsk to Mir Castle! Simple and fast online transfer order from Mir Castle to Minsk Airport with fixed fee. Best service guaranteed! 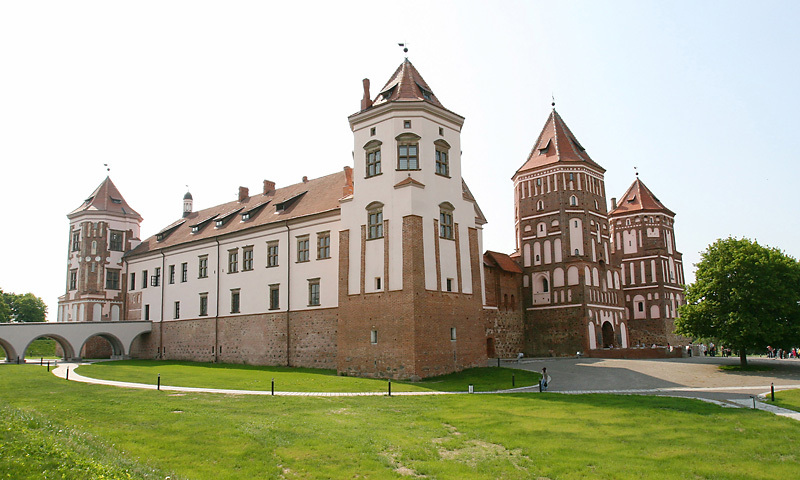 Mir Castle (Mirsky Zamok) is the best-preserved castle in Belarus, recently underwent complete restoration without altering its historic looks and splendor. Houses a local lore and history museum with beautiful examples of past era clothing, tools, weapons and tableware. A truly distinct sightseeing of Belarusian aristocracy.